Anna was born and bred here in the Wairarapa and has joined the team of Bevan Saywell and Prue Hamill here in Masterton. Prior to this, Anna was a Pharmacy Technician for 6 and a half years therefore connecting with the people in our community and having great customer service has always been number one to her. Anna is driven and motivated which is evident in the fact that she has previously opened and sold a successful business here in the Wairarapa plus has recently built her own home. Interacting with different people, putting their priorities first is an absolute no brainer and anything she can do to make your property journey easier for you, she will. If you would like a free no obligation appraisal done on your property, or to discuss your real estate needs, call Anna today. Your Local Award Winning Harcourts Lifestyle and Residential Specialist. Backed by the best team and most trusted brand, Prue and I have the knowledge and expertise to deliver an exceptional result and experience whether buying or selling in the Wairarapa. When trying to get the very best out of the biggest investment of your life, building a warm, trustworthy and genuine relationship with your real estate agent is essential! Wairarapa born and bred, Bevan has great local knowledge; he is young, energetic, approachable and has what it takes to sell your property. Having proven results and many happy clients throughout the Wairarapa. We aim to ensure that buying and selling is not a stressful process - we have the range of skills and expertise that make things very easy for you. As results driven agent, Bevan will focus on quality advertising and marketing programmes including photography, video production, interior staging, graphic design and much, much more. He will be there from start to finish to achieve the best results for his clients. If you are looking for an exceptional agent that is committed to exceeding your expectations, then contact me to discuss your next move. I was born and educated in Masterton. After leaving College I became a hairdresser. I moved to Christchurch where I continued with Hairdressing as will as managing, leasing and owning farms. In 1998 I returned to the Wairarapa to farm just out of Riversdale Beach when the farm was sold, as I loved the area I moved into Riversdale Beach. I enjoy team sport and have played hockey for a large part of my life. I am a member of the Riverdale Golf Club where I enjoy both competitive and social golf. I have always been family and community minded being fully involved with fund raising and on school committees during my two daughters schooling. My years of Hairdressing have helped me to listen to people and then use that information to achieve their desired results. I have a passion for property and the Community I live in. I am ready to assist you with any of your Real Estate requirements. Whether thinking of buying or selling call me, I am your Riversdale Beach resident Harcourts sales consultant. A genuine and trusted professional Maria’s clients are her top priority. Maria is a strong advocate for transparent dealings and will guide you through the sale, and the purchase process, and work in your best interests with honesty and uncompromising integrity. Coming from a legal background and having worked as a qualified Legal Executive predominately within property law, Maria has a wide skill set of property knowledge and experience to assist you. Focusing on creative techniques to market your property and with sharp attention to detail she will develop a marketing campaign to make your sale a success. Working tirelessly for you for the best possible result and giving you exceptional personable service makes Maria the perfect partner to sell your property. So, if you’re after the best possible result contact Maria today. 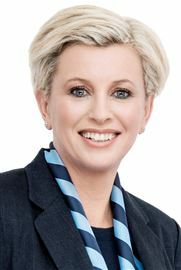 Mary is a Real Estate Salesperson with Harcourts Hamill Realty Ltd MREINZ. 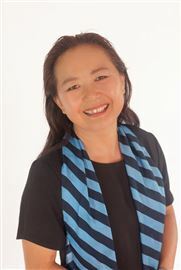 Her goal is to assist people with the on selling of Coastal Property at Flat Point. After 29 years of living, farming and bringing up a family at Flat Point on the Wairarapa Coast, Mary is well informed and passionate about Wairarapa Coastal Property. Sarah has had wonderful success and has achieved many awards in the real estate industry since she started in real estate over ten years ago. High standards in client service and impeccable communication skills have enabled Sarah to benefit from a high percentage of repeat and referral business from both buyers and sellers. With extensive market knowledge and a keen understanding of the real estate market, Sarah is well respected by her clients and peers. Having lived in the Wairarapa for most of her life and with a long family history here, Sarah is a passionate advocate for the area and all it has to offer “We have everything we need right here in the Wairarapa, an unrivalled lifestyle, great schooling, beautiful countryside to enjoy, beaches closeby and we are right on Wellington’s doorstep but feel a world away from the city bustle”. 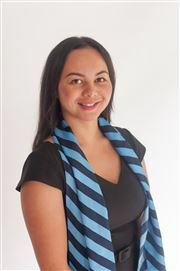 When not selling property, Sarah loves to play and watch a variety of sports and has a passion for travel. Jess has lived in the Wairarapa for most of her life, educated in Masterton as well as spending time living in Wellington and abroad which has aided Jess’s bubbly, outgoing personality. 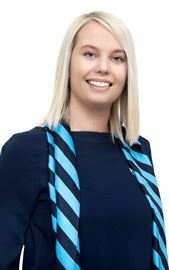 Jess has come from a customer account management background in the utilities and banking sector which has given her a great foundation for the property management industry. A strong attention to detail combined with the ability to adhere to the ever changing policies and regulations of property management will ensure your property will remain compliant now and in the future. 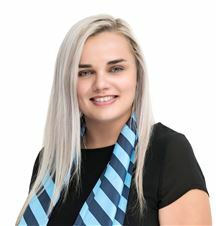 As she has experienced being both a tenant plus a home owner, Jess understands the importance of both the tenants and home owners needs when it comes to property management. With a strict zero tolerance policy when it comes to rent arrears you can relax knowing your property is well looked after. For all of your property management needs give Jess a call today. Modern and Ready for You Now!